Sale: 139.00 FREE Delivery. Cash on Delivery eligible. READY TO DRINK- While these ayurvedic wheat grass juice shots may be small in size, they are nonetheless big in nutritional impact. Ready to drink and with no mixing required (all you need to do is just shake well and gulp) there are no longer any excuses for slipping behind on your daily quota of antioxidants. Tasty, portable and fun, our nutrient-rich healthy juice shots are the easiest way to elevate your health today! DAILY SHOT OF HEALTH- How to consume: Simply take one fresh wheat grass juice shot from your pack , shake the test tube container well and consume it on an empty stomach in the morning before you eat breakfast. Each 40 ml tube is absolutely loaded with skin cleansing and body detoxifying properties and it need only take a few seconds as part of your regular morning routine to reap the purifying benefits of these wheat grass shots! HIGHLY ALKALINE- Highly alkaline and mineral rich, wheatgrass is one of the best-known detoxification agents in Ayurveda. The juiced wheatgrass in this super detox drink is a powerful alkalizing agent which can help the body to gain and maintain a balanced pH. Many diseases flourish in acidic environments, but cease to exist in a mildly alkaline environment that can be cultivated through imbibing with wheatgrass shots. AYURVEDIC BENEFITS- Considered to be one of nature’s finest remedies, wheatgrass contains many basic components and trace elements with immense healing capacities. A tremendous source of chlorophyll, this wheat grass drink floods the body with a therapeutic dose of vitamins, minerals, antioxidants, enzymes, and phytonutrients. Wheatgrass is also a powerful detoxifier, especially of the liver and blood. NO HARMFUL INGREDIENTS- If you don’t have time to enjoy a smoothie in the morning, these wellness juice shots will give you a quick dose of antioxidants and minerals to start your day. You will find no harmful ingredients in our FSSAI certified wheatgrass juice shots. Contains: Fresh Wheatgrass juice, Aloe Vera juice, Coriander juice, Lemon juice, Lemon peel extract, and Honey. No added sugar, artificial flavors, colors or parabens. For the first time in India- a Tasty Ayurvedic Juice Shot! Kiva brings to you ready-to-drink wellness formula shots that pack various health benefits in small 40 ml tubes. Wheatgrass is the plant world’s secret superhero- the best source of chlorophyll, all vitamins, numerous essential minerals and metals like zinc and iron. It is a natural blood builder, anti-ageing elixir and a great agent for detoxification. 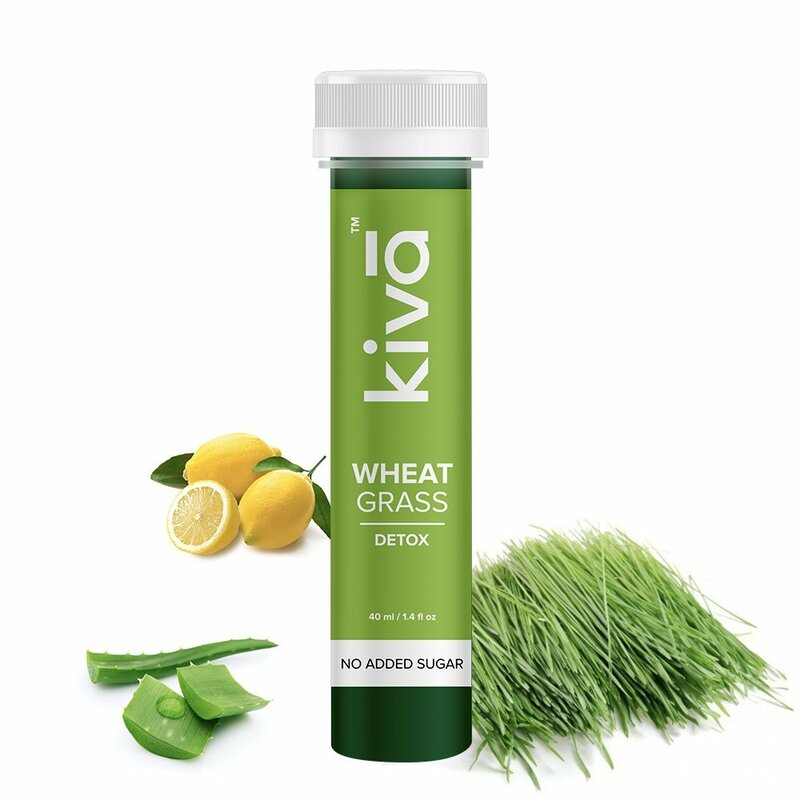 Kiva’s wheatgrass drink shot contains the freshly extracted juice of this magical plant along with a balanced combination of aloe vera juice, coriander juice, honey and lemon juice. If you are looking to detox, this makes it your perfect shot of good health to start every morning with! 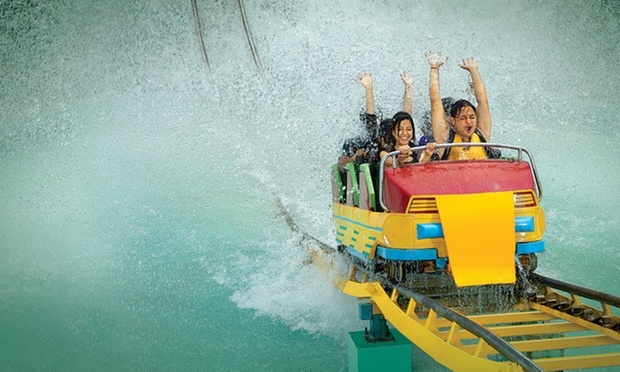 How to consume:Just pull out a tube from the tray, shake it well and gulp it down. Consume every morning (preferably before breakfast) regularly for two weeks to be able to see some significant health changes.